888 Casino first started in 1997, and have grown to become a market leader in online gaming. In addition to running their successful casino site 888 also operates a popular poker room and sportsbook and is listed on the London Stock Exchange. While 888 has business interests in the regulated US States of New Jersey and Nevada, the main 888.com platforms do not accept US players. 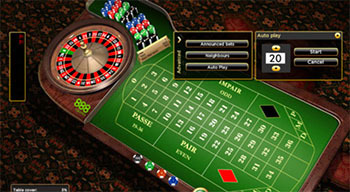 The casino is run with software developed in-house. While 888 used to have a reputation for poor design and playability those days are long gone and now they have a package with excellent graphics and smooth gameplay. The Casino client is available either by download or via an instant-play option which lets you enjoy the games in any browser. There are also native apps for Android and iOS. Licensed in Gibraltar and maintaining a truly global presence 888.com is a highly respected and trusted name in internet gambling. The site has also seen endorsements from several sponsored celebrities such as cricket legend Shane Warne. 888 Casino offers five roulette games, including 3D roulette, and live dealer roulette. Sign up today at 888 and receive a bonus of 100% up to $200. 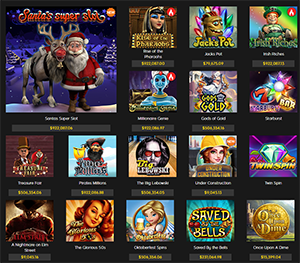 888 offers five different Roulette games, boasting over a 97% payout which is claimed to be higher than Vegas casinos. They do offer American Roulette and others. There is a European Roulette game you can find in most casinos. 888’s table looks the part with a clear and playable layout, along with close ups of the ball when it lands. The grid is easy to navigate and place your bets on. For an alternative view of the same game, check out 3D Roulette. This game features a wonderfully designed and animated wheel which takes center stage, although bets are still easy to place on the grid behind. If you are after a real casino experience without leaving home, then give the Live Casino a try. Here you can play Roulette games hosted by real croupiers and interact with them and the other players at the table via the chat box. Finally, you can find ‘Rockin’ Roulette’ which has the appearance of a lottery style game with balls being drawn rather than having a ball fall in a slot. While it is an entertaining twist it essentially the same game, with the same random number generator software coming up with the numbers. You will also find Pinball Roulette at 888, which includes a bonus round where you can double-up your wins. Sign up at 888 Casino to start playing any of the five roulette games they offer. Like any respectable casino site you can find a large number of table games for you to enjoy at both low and high limits. Blackjack is available in a handful of variations including the live and multiplayer options. You can also find all the usual suspects including Craps, Baccarat and different varieties of Casino Poker. These are all played on some smart looking backgrounds which fit in well with each other to give a uniformed look to the site. There are a large number of classic 3 reel slots and 5 reel video slots available. These games and contain some famous themes ranging from Nightmare on Elm Street to The X Factor and all offer a large number of win-lines. Many video slots also contain animated bonus levels, which contain some entertaining mini games of their own. These add another dimension to the slots games and let you win significant extra prizes in many cases. Video Poker players can enjoy a large number of games here, with many variations to play. You can also find Keno (bingo) games and Scratch Cards. 888 offer players a large number of free deposit and withdrawal methods. To get money on site the favorite method is to use your Credit or Debit card. 888 happily accept both Visa and MasterCard, as well as prepaid cards. Various online wallets provide an instant deposit option. These include PayPal, NETeller and Skrill. You can also find many options unique to different countries or areas like Poli and WebMoney. Withdrawals are normally processed for free and tend to go back via the method you used to deposit. These are normally processed between 5 and 10 days although some options may prove quicker. Should you have any questions the customer support will be happy to help you. If you are a new sign-up you can receive € /£88 credit to try out real money Roulette, although this credit cannot be withdrawn and will expire after 14 days. Any winnings much be played through 30x before you are able to take them off the site. After this the main welcome bonus at 888.com is a 100% match up to £100. A play though requirement of 30x the bonus amount is needed. Different games clear different amounts and Roulette play can help clear up to 20% of this requirement. For those who are looking to make bigger first deposits there are Premium Bonuses available allowing you to gain up to £1500 in your first week. All 888 online casino players automatically take part in their Comps program. For every $10 you wager you will earn 1 Comp point which can then be exchanged for $1 for every 100 points. Other currencies can earn and exchange Comps at an adjust rate to match this. While it will not make you rich, it is essentially a free rebate on money you would have gambled with anyway. On top of this, you will find regular one-off and special promotions at this casino. 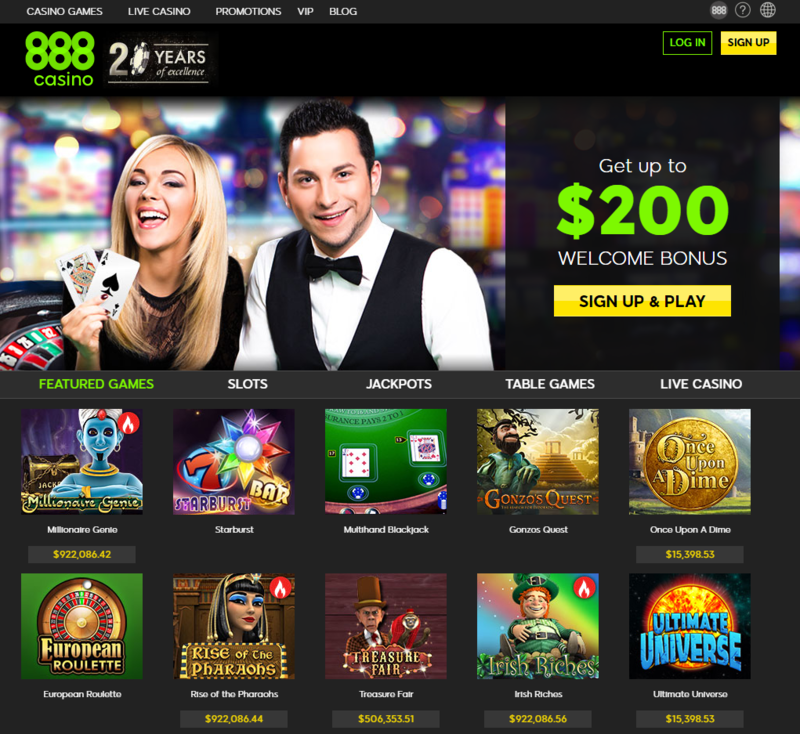 Through its promotion and reputation 888.com is now one of the most recognized brands in online gaming. They offer Roulette players tables without the high-edge US game, where you can really enjoy the games. In addition to the standard games you can also the unique Rockin’ Roulette with its lottery feel. New players can test the site out with a free € / £88 before depositing and getting a very reasonable bonus which can be cleared in part by your Roulette play.